Artist Megan Heazlewood makes strong use of contrasting colors in her iconic mosaics, and I think her work is inspiring for that reason. 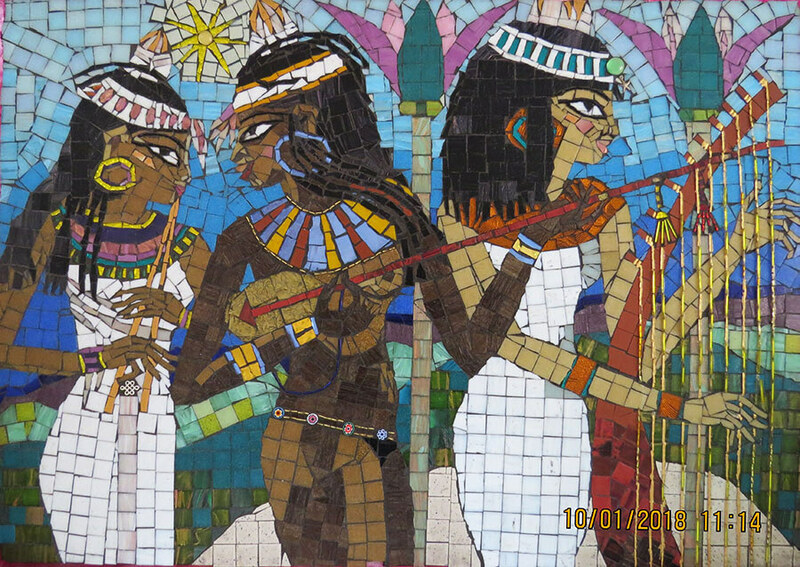 There are several contrasting color pairs in Megan’s mosaic of ancient Egyptian musicians: the teal and pink of the lotus flowers, the blue and gold, the white robes and the different skin tones, the blues and greens versus the burnt orange. 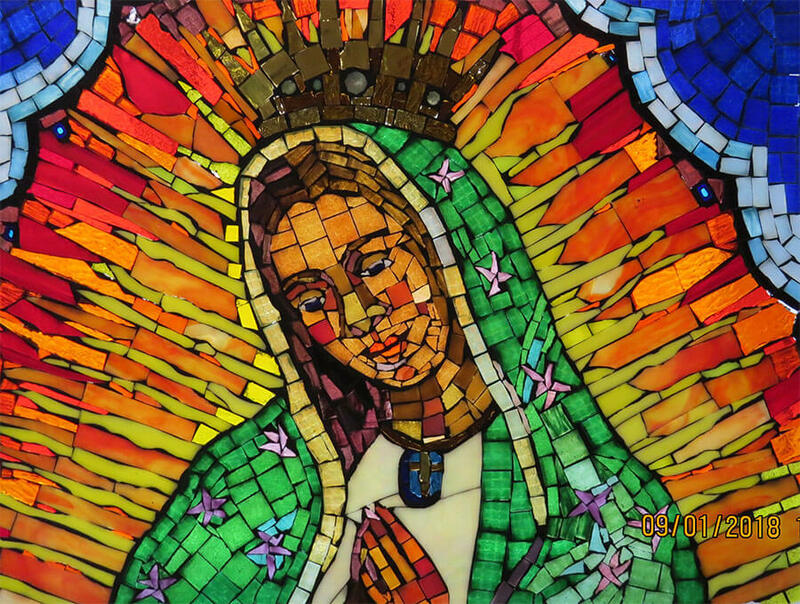 In this mosaic, Megan used the very intense colors popular in Mexican artwork. Intense cool blues and greens versus the hot reds, oranges, and yellows. This icon is complete with two symbols of St John the Evangelist, author of the Gospel of John. The first is the chalice with snake, and second is the eagle. Note the deep phthalo blue embroidery on the edge of the crimson robe and how well these two contrasting hues work together. The darkness of these two shaded hues contrast well with the white. 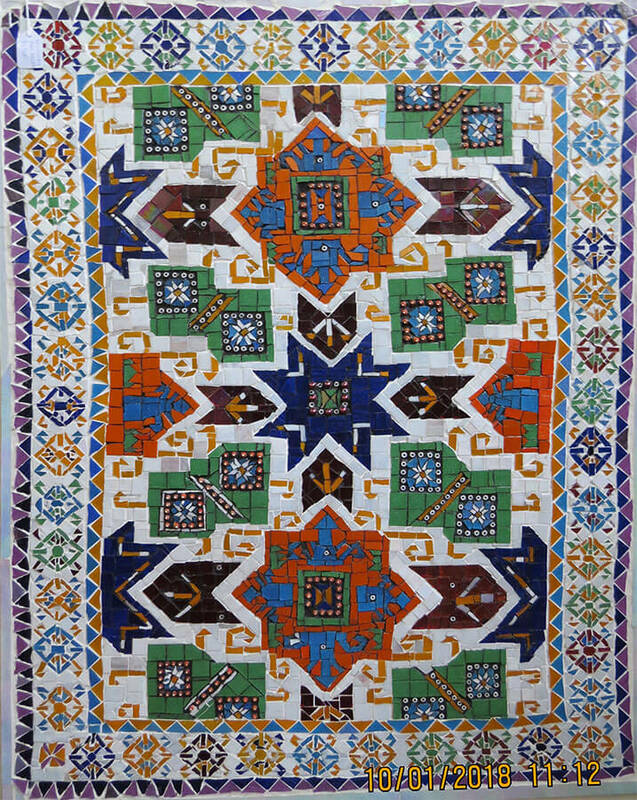 Mosaic rug designs with their repeating geometric motifs are a great inspiration for fireplace surrounds, in my opinion. With a matrix of white to mute overall color intensity, a rug design such as Megan’s is a way to use intense colors without overwhelming the color scheme of the room as a whole. I would love to receive some emails from people who have taken me up on this idea. 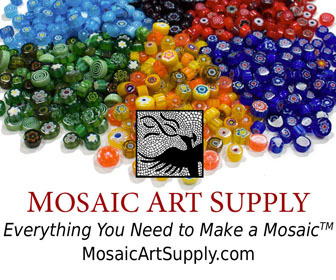 This entry was posted in Art Review, Improving Your Art, Inspiration and tagged contemporary mosaic, design considerations on February 19, 2018 by Joe Moorman. I just love the Egyptian mosaic. The colors, the subject matter, etc. It gives me inspiration. How large was this piece?